A carbon offset is a measurable quantity of greenhouse gas emissions (metric tonne) that can be reduced on a global scale with an investment into renewable energy sources, methane capture, forest protection, and a variety of other emission-reducing activities. People, companies, and nations are trying as hard as they can to reduce their carbon footprints in order to meet international reduction goals and prevent catastrophic climate change. We need new technologies that allow us to wean ourselves from dependence on fossil fuels now, but these technologies are not available or affordable yet. Until new technologies become accessible, we can reduce our fossil fuel consumption by conserving as much as possible, and reducing overall global carbon emissions by offsetting our unavoidable emissions created by activities such as driving, flying, or heating our homes and businesses. - Move 145 drivers from large SUVs to hybrids for one year. - Run one 600 kW wind turbine for an average year. - Replace 500 100-watt light bulbs with 18-watt compact fluorescent lights (10-year life). - Replace 2,000 refrigerators with the highest efficiency model (10-year life). - Install 125 home solar panels (20-year life). - Plant an acre of Douglas fir trees (50 years of growth). 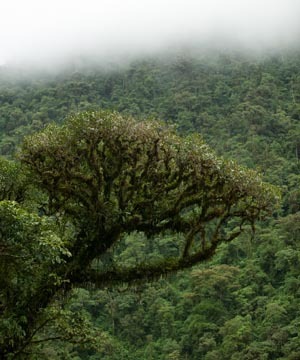 - Protect four acres of tropical rainforest from deforestation. Eliminating deforestation is the most cost effective way to slow greenhouse gas emissions, and an extremely efficient way to keep carbon out of the atmosphere. High quality offsets are audited by an independent third party (internationally recognized verifier) and are verified to reduce carbon emissions globally. High quality offsets add benefits to local communities and wildlife and help to create a sustainable situation that will ensure long term conservation. Typically speaking, REDD projects that are verified using internationally recognized standards are of high quality, but there are exceptions to this, and buyers must be aware of where their money is going, if it is for profit or non-profit, and whether or not indigenous rights were respected. The Verified Carbon Standard is a scientifically based standard used to measure whether or not the project actually creates verifiable emissions reductions. The Climate, Community, and Biodiversity Standard is used to verify that the project is taking biodiversity and local communities into account. These two standards are usually used in tandem. The importance of using scientific methodology to accurately measure carbon sequestration and deforestation rates cannot be overlooked. CarbonTree projects follow the best practices available for avoided deforestation projects on the market today. Unlike other groups offering carbon offsets, we are offering the highest quality offsets available.